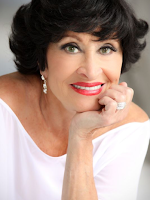 The 70th Annual Antoinette Perry Award, better known as the Tony Awards, will be held on Sunday, June 12, 2016 to recognize achievement in Broadway productions during the 2015–16 season. This year, Lin-Manuel Miranda's Hamilton received a record number of 16 Tony Award nominations. In addition, it also broke a record by having a total of seven of its performers nominated for the Tony in the acting categories. As the Tonys turns 70 this year, we decided to take a look at some of its firsts, specifically its Latino firsts and milestones. José Ferrer (shown at left) shared a Best Actor award (with Frederic March for his role in Years Ago) in the first ever Tony Award ceremony for playing the title role in Cyrano De Bergerac (a role he would later perform on the big screen and for which he would win the Academy Award). 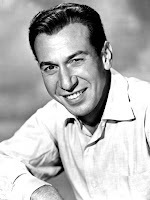 He would later win four Tonys in 1952 alone. In 1975, Rita Moreno became the first Latina to win a Tony, for Best Featured Actress in a Musical for the role of Googie Gómez in The Ritz. (She is the first performer to win– in addition to the Tony– the Emmy, the Grammy and the Academy Award. 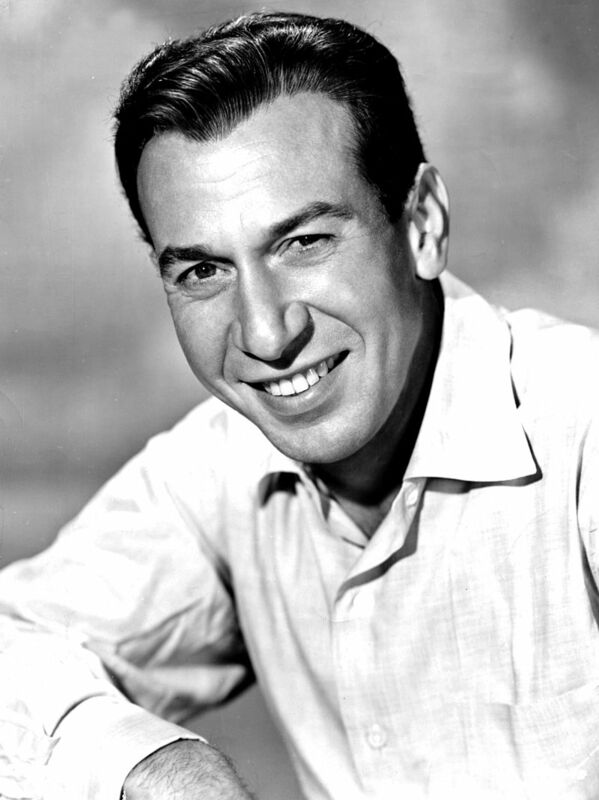 Gerald Gutiérrez became the first Latino to win a Best Director Tony in 1995 for The Heiress. He also repeated in 1996 for his work in A Delicate Balance, becoming the first and only director to win that award in two consecutive years. 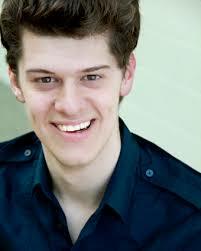 David Álvarez shared the Tony Award with Trent Kowalik and Kirill Kulish for Best Performance by a Leading Actor in a Musical for playing the title role in Billy Elliot: The Musical (2009). It was the only time multiple people have shared a Tony for playing the same role. Lin-Manuel Miranda and Quiara Alegría Hudes were the first writers or composers to have a Broadway production win a Best Play or Best Musical (In The Heights won the latter in 2008; Miranda also won that year for Best Score). Chita Rivera (shown at right) is tied with Julie Harris with the most Tony nominations given to a performer, with ten (10) apiece (she has won two, both for Best Actress in a Musical– for The Rink in 1984 and Kiss of the Spider Woman in 1993). To find out what other Latinos have won the Tony Awards, click here. 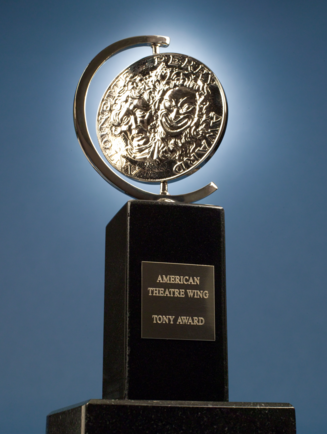 To see more Tony firsts and milestones, click here. 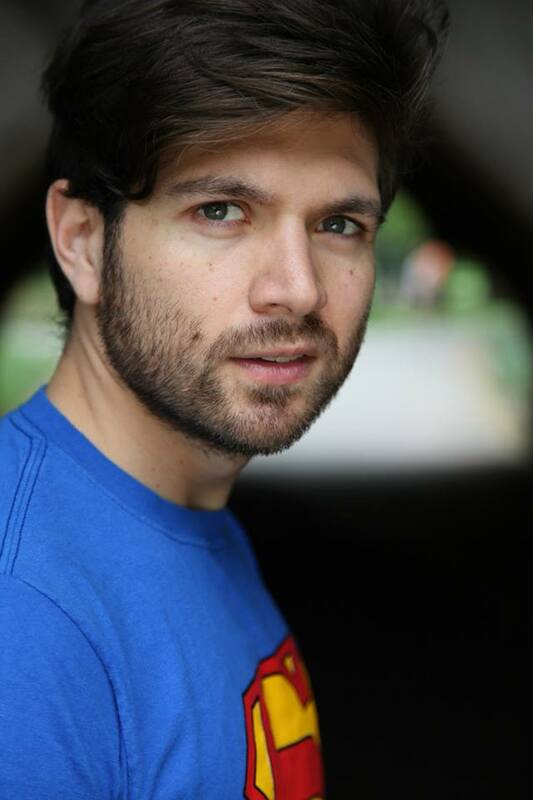 Pablo Andrade, shown at right and also see below, was highlighted in the Venezuelan daily newspapers El Diario de Caracas and La Región/El Diario de Miranda, where his direction of the Corezón production of Karin Valecillos' play Lo que Kurt Cobain se llevó, was mentioned. The play, which stars Max Sir, Diego M. Chiri, and Yessi Hernández will run in June as part of the VI Festival del Teatro Hispano Del Comisionado at the Sala Rafael Villalona at El Comisionado Dominicano de Cultura en EEUU, located in Manhattan's Washington Heights neighborhood. To read the articles, which are in Spanish, click here and here. For more information about the production, click here. 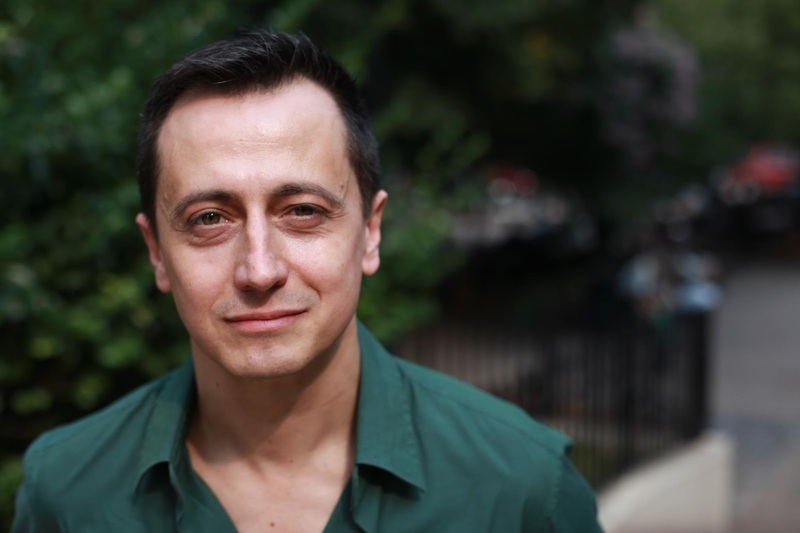 Pablo García Gámez, shown at left, was profiled in the Informe 21 online newspaper where it highlighted his play Olvidadas (produced by Corezón and Pablo Andrade, also see above), which picked up four awards in May at the FUERZAFest - Latino LGBTQ Festival, including an award for Best Production and Best Playwriting (for García Gámez). To read the article, which is in Spanish, click here. Manuel A. Morán's documentary Títeres en el Caribe hispano: Cuba, República Dominicana, Puerto Rico will have its world premiere in May at the World Puppet Festival and 22nd World Congress of UNIMA (Union Internationale de la Marionette), which will take place at Topic Tolosa in Tolosa, Gipuzkoa, Spain. The documentary, co-directed by Morán, shown at right, and Kristián Otero, will have a New York premiere sometime in the near future. For more information on the documentary, click here. 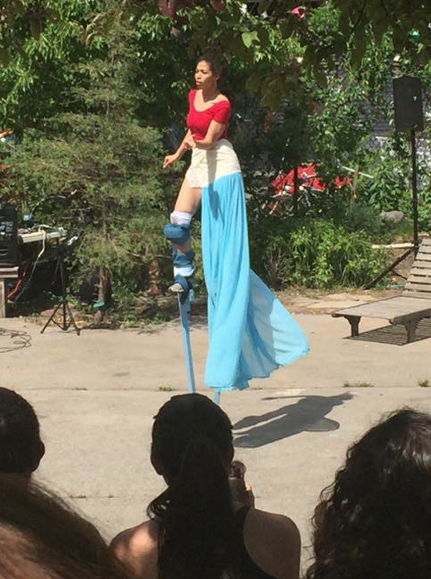 María Cotto (also known by her nom de danse Mila Cotto), shown at left, performed a stilt dance performance in May as part of the 29th annual Loísaida Festival. Produced and hosted by The Loisaida, Inc. Center, it has been the biggest carnival in downtown Manhattan since 1987, bringing more than 15,000 neighbors, visitors, guests artists, community organizations, companies, NYC leaders and restaurants together to celebrate their Latino contributions to NYC. The Festival celebrates Lower East Side/Loísaida’s pride and diversity while supporting commerce, entrepreneurship, community service and neighborhood revitalization and took place outdoors on Avenue C (doubly billed as "Loísaida Avenue"). For more information, click here. 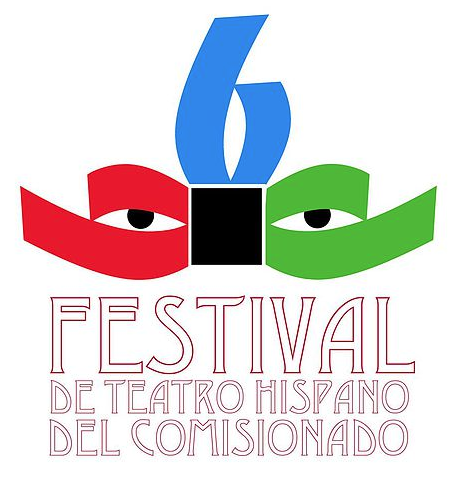 El Comisionado Dominicano de Cultura en EEUU is presenting its VI Festival del Teatro Hispano in May, June and July at its location (Sala Rafael Villalona) in the Manhattan neighborhood of Washington Heights. 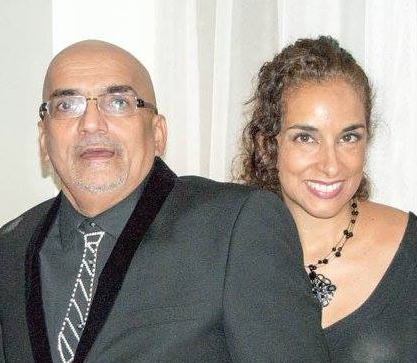 The international festival will be dedicated to actor, director and producer Roy Arias. HOLA members (listed below in boldface) can be found throughout many productions of the festival (some of which are listed below). The festival opened on Thursday, May 26, 2016 and will run through Sunday, July 17, 2016. It will feature 3o plays from theater companies in New York City, New Jersey, Connecticut, Massachusetts, Florida, District of Columbia; and theater companies from the Dominican Republic, Cuba, Venezuela and Colombia. 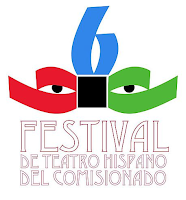 All shows will be presented at the Sala Rafael Villalona at the Comisionado Dominicano de Cultura en EEUU (located in the Washington Heights neighborhood of Manhattan). For more information, click here (note that the website is in Spanish). 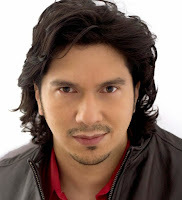 Alfonso Rey will be directing the Indira Páez play Ni tan divas ni tan muertas. 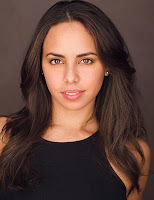 The play will star Maite Uzal, Andreina Carvó and María Fontanals, and run in June as part of the VI Festival de Teatro Latino del Comisionado at the Sala Rafael Villalona at the Comisionado Dominicano de Cultura en EEUU in Manhattan's Washington Heights neighborhood. 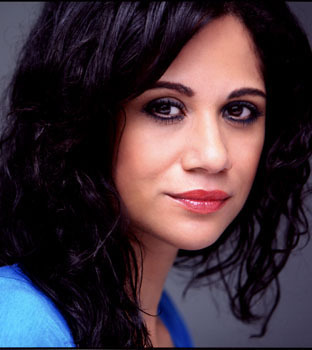 Mayté Hernández will be acting in the Yoshvani Medina play Suicídame. 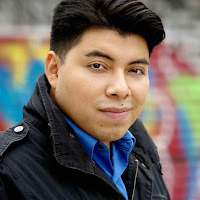 Directed by Enmanuel García Villavicencio, the production will take place in June as part of the VI Festival de Teatro Latino del Comisionado at the Sala Rafael Villalona at the Comisionado Dominicano de Cultura en EEUU in Manhattan's Washington Heights neighborhood. Eduardo Leáñez will be co-starring in the feature film The Last Scene. Written by Félix Hiciano (based on a play by Richard Thomas Henle) and directed by Henle, the film stars Hiciano, A.B. Lugo, Taína Elena, Samantha Safdie, Chris Raglin, and Chanise Renae. The film will start lensing in New York City in June. For more information on the film, click here. Rigoberto García, shown at right, is playing the recurring role of Héctor on "The Jim Gaffigan Show" (TV Land). Ángelo Mercado, Jr. shot a commercial promo for a cable television network series. Ura Yoana Sánchez will be acting in the play The Tragic Circumstances of 1948. 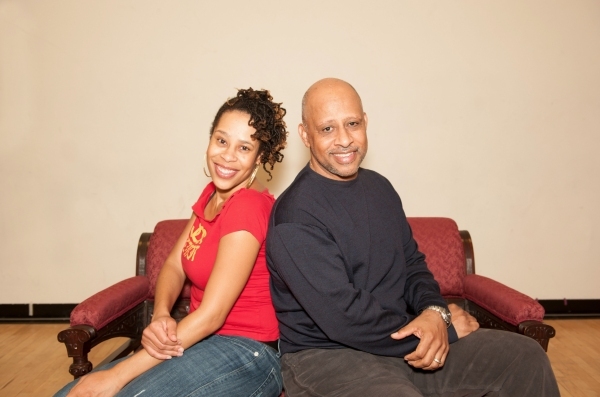 Written and directed by Ken Sibanda, the play will be produced in September by the Harlem Repertory Theatre at the Tato Laviera Theatre in Manhattan's El Barrio neighborhood. 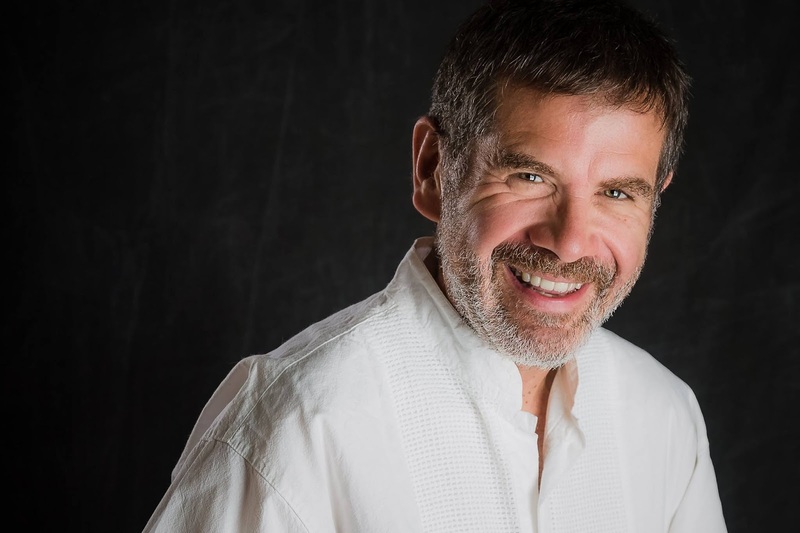 Manuel A. Morán will be producing and directing the play La muela del rey Farfán/The King Who Refused To Love. Written by Serafín Álvarez Quintero and Joaquín Álvarez Quintero, the award-winning production has a new score by Morán and Iván Alexander Bautista, and will be presented by Teatro SEA in June as part of the Arte Pa' Mi Gente/Arts For All Festival, scheduled to take place at La Plaza at The Clemente Soto Vélez Cultural and Educational Center (home to HOLA) in Manhattan's Loísaida neighborhood. The cast will include Francisco Fuertes, Indra Palomo, Shadia Almasri and Morán, among others. Each performance will an opening act (Milteri Tucker and Bombazo Dance Company will perform on Sunday, June 19, 2016) and cultural artisans and food vendors. For more information, click here. The 61st annual Obie Awards (formerly known as the Off-Broadway Theater Awards) were presented on Monday, May 23, 2016 in a ceremony hosted by Lea DeLaria at Webster Hall in Manhattan's NoHo/Union Square area. 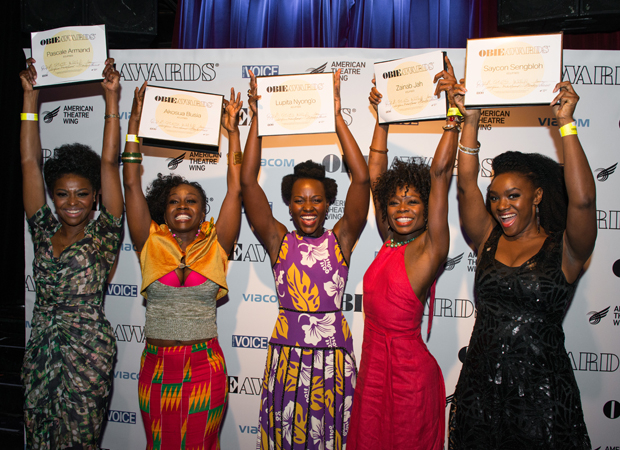 The Obie Awards were jointly presented by the Village Voice and (administered since 2014) by the American Theatre Wing. 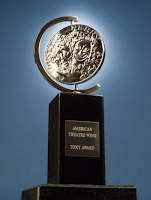 As the Tony Awards cover Broadway productions, the Obie Awards cover Off-Broadway and Off-Off-Broadway productions. Tony Rodríguez, shown at right, in character, in the photo at right, was profiled in the Farándula Show TV blog, where his work as an actor and producer of the Argentine-U.S. feature film Almas de furia (co-directed by Pablo Yotich and Lucio Fernández, the latter of who also co-stars) was highlighted. Also highlighted in the blog is Rodríguez's co-star Mônica Steuer (shown at left, in character, in the photo at right). To read the blog, which is in Spanish, click here. Gerardo Gudiño, shown at left, was featured in the Puerto Rican daily newspaper El Nuevo Día, where his co-starring role in the Rafael Albarrán play Checkmate, was mentioned. The play was presented in May by Oomph!, and directed by Gama Valle as part of the FUERZAfest - Latino LGBTQ Fest at the Julia de Burgos Latino Cultural Center in Manhattan's El Barrio neighborhood. To read the article, which is in Spanish, click here. A.B. Lugo is starring in the feature film The Last Scene. Adapted by Félix Hiciano from the Richard Thomas Henle play of the same name, the film will be directed by Henle, and start principal photography in June. For more information, click here. Caridad de la Luz (also known by her nom de poésie et de musique La Bruja) and Jane Gabriels are special guests on the new single from Nejma Shea (also known as Queen Nejma Nefertiti) titled "Heavy! (If Anyone's Interested)", off of Shea's extended play collection Rise to the Occasion. To listen to an excerpt of the song (caution: some strong language), which was co-produced by de la Luz, click on the image below. The Paley Center for Media hosted a first of its kind tribute to Hispanic achievement on television Wednesday, May 18, 2016, bringing together the biggest Latino stars in Spanish and English-language television at the Cipriani Wall Street in Manhattan's Financial District. The event honored Hispanic contributions in telenovelas, comedy, news, drama and televised sports and music events with video supercuts from the Paley archive’s Hispanic collection. Notable guests and presenters included América Ferrera, Mario "Don Francisco" Kreutzberger, George López, Lana Parrilla, Edward James Olmos and Jimmy Smits. 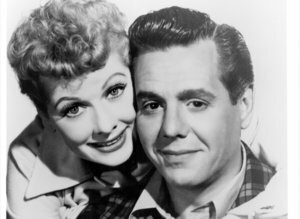 Lucie Arnaz, daughter of Desi Arnaz and Lucille Ball (“I Love Lucy”), also took the stage in a special moment honoring her father’s legendary career on television. The Paley Center announced it would repeat a similar tribute to Hispanic contributions in television on Monday, October 24, 2016 at the Beverly Wilshire in Los Angeles. For more information, click here or here.